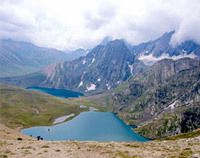 This lake dwells high up in the Kashmir valley and is situated at the most highest altitude in that area. 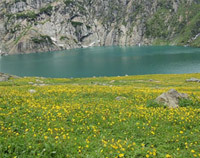 All surrounded by meadows and mountains makes this lake a majestic experience. It is also used as the base for treks. 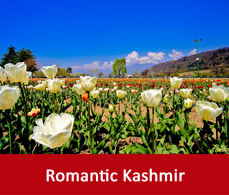 Once you are here you will get lost in the magnificent hues of the nature from all around. 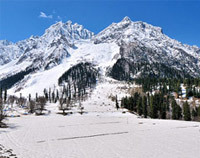 It is one of the most famous spot among Sonmarg sightseeing. 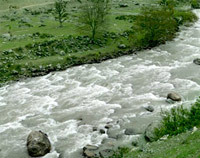 It is mainly fed by some glaciers and Krishansar lake. During the winter this lake freezes and in the summers it becomes an ideal place for fishing. Brown trout is also found during that time. It is the path or the gateway to the sacred place of Amarnath. Pilgrims also travel through this path to collect some goodness of divinity. It is at a higher altitude but is one of the major tourist attractions. 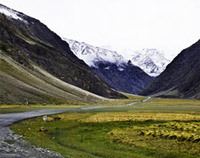 This pass leads you to the barren landscape of Ladakh from the green hues of Kashmir. 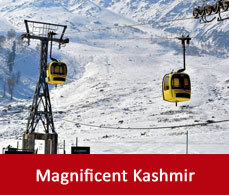 When you are here for the Sonmarg trip have a glimpse of this place which will leave you speechless. 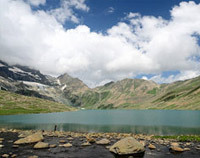 It is a beautiful lake with crystal clear water surrounded by green meadows and mountains with the backdrop of the snow peaked hills. The image of the mountains falling on the water makes it a magical experience. 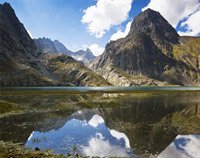 It is a picturesque lake surrounded by mountains and above the mountains the clouds playing hide and seek with the alps. The image of the clouds and mountains falling on the water of the lake attracts you to just sit back, relax and enjoy its beauty. 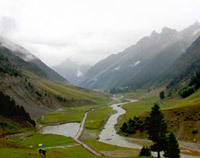 It is the most famous place among the tourist spots of Sonmarg. This river is surrounded by rocks and pebbles. Along the banks of the river lines tall green trees behind which rises the high mountains touching the clear blue sky. 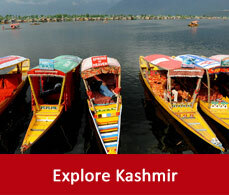 Visit this famous tourist place and have a memory of lifetime.